Greetings from Las Vegas! After talking about doing this CFI thing for so long, it’s almost odd to actually be here. The most remarkable thing about the “Total CFI” program seems to be the way the system works here. Days are long enough that one connects to another. For example, I was up at 4:30 a.m. today in order to be out of the hotel by five and preflighting the Seminole by 5:30 for a 6:00 a.m. wheels-up time. We were back on the ground by 8:00 for the ground seminar. That lasted for about eight hours, after which there was an administrative meeting, a quick dinner, and now it’s back to the books. And this was a “sleep in” day. I’ve got a training flight later in the week that’s scheduled to depart at 3:00 a.m. Between that and the ground class, it’ll be a 20 hour day at the very least. Interestingly, I’m not even close to the first one scheduled to depart that morning (evening?). There are FAA checkrides taking place in the middle of the night. Part of the reason for that is because there aren’t too many instrument approach procedures available in the Las Vegas valley, and McCarren only allows practice approaches between 2:00 and 7:00 a.m. When not flying, ATP has a brand new AST300 simulator that’s available for use. From what I’ve seen of it, it’s pretty nice. It has visuals and a Garmin GNS430. Not an exact replica of the Seminole, but close enough to be able to practice flows and instrument procedures. I’ll have to take a picture of the scheduling board in the office. There are about a dozen checkrides taking place in the next few days. You’d think ATP would have a lot of aircraft here, but there are only three twins. They simply keep ’em in the air most of the day. The ATP staff doesn’t hold anyone’s hand. Pilots simply have to be on top of things if they want to get through it. Which is exactly how it should be, eh? Here’s how this program works: the first week or so is spent on the initial CFI certificate with a multi-engine rating. Once the MEI has been obtained, there’s another two days before the multi-instrument instructor rating is added on, followed by the single-engine CFI by day 14. Most of the CFI training is ground based, which reflects how the checkride is run. Long oral, short flight. By the time you reach this level, it’s assumed that you can fly the aircraft. 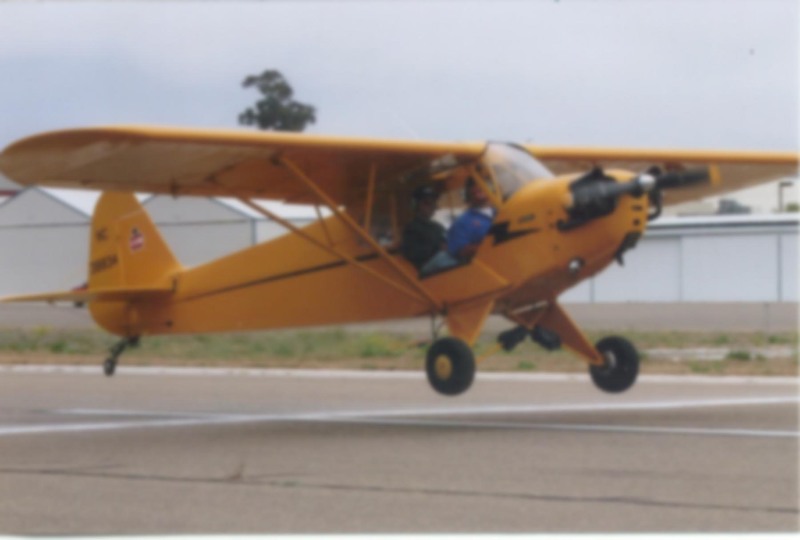 It’s more a matter of being able to teach the maneuvers, guide student learning, put together lesson plans, and cover all the legal elements (endorsements, PTS requirements, etc). Everything we’re covering is review, so in theory I should be able to pass the test even if I took it right now. On a personal note, North Las Vegas Airport is located pretty close to my old high school, so I stopped by the old Robin St. campus location during my leisurely 30 minute lunch break. The high school is no longer there — they moved out to a new campus in Summerlin about seven or eight years ago — but it was nice to see that the old building is still standing. In fact, it’s still a school, I think. Some sort of public adult education facility. Robin Street used to be mostly open space, but now it’s all covered with homes. I grabbed lunch at the Wendy’s where I used to eat during senior year when we were allowed off campus during the noon hour. Deja vu.